Vom ADAC-Campingführer mehrfach ausgezeichnet. Zentral und doch ruhig gelegen - Ausgangspunkt des wohl schönsten Wanderparadieses Österreichs. Empfehlenswert besonders auch im Frühjahr und Herbst, bedingt durch die wetterbegünstigte Lage südlich der hohen Tauern. Auf ihren Besuch freut sich Familie Steiner. 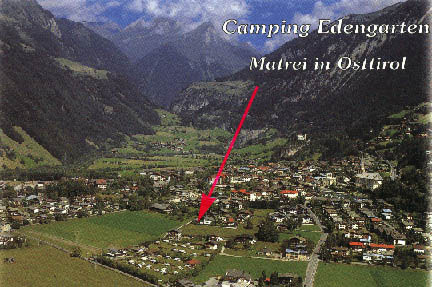 Several awards by the ADAC-Camping Guide. Central but calm location. It's the starting point of Austria's most beautiful mountain area and hiking paradise surrounded by some of the country's highest mountains. Due to its favourable weather conditions south of the Hohe Tauern Mountains, the area is a recommendable holiday destination even in spring and autumn. Family Steiner is looking forward to your visit. Premiato più volte dalla guida dei campeggi dell'ADAC (ACI tedesco). Situato in posizione centrale e comunque tranquilla-punto di partenza per escursioni nel più bel paradiso di montagna dell'Austria con le montagne più alte. Particolarmente consigliabile anche in primavera ed in autunno grazie alla favorevole posizione climatica a sud degli Alti Tauri. Siamo contenti della Vostra visita! Famiglia Steiner.